Last week I shared with you our adventure to a Citizen Pottowatomie Nation Pow Wow and my recipe for Sourdough Indian Fry Bread. 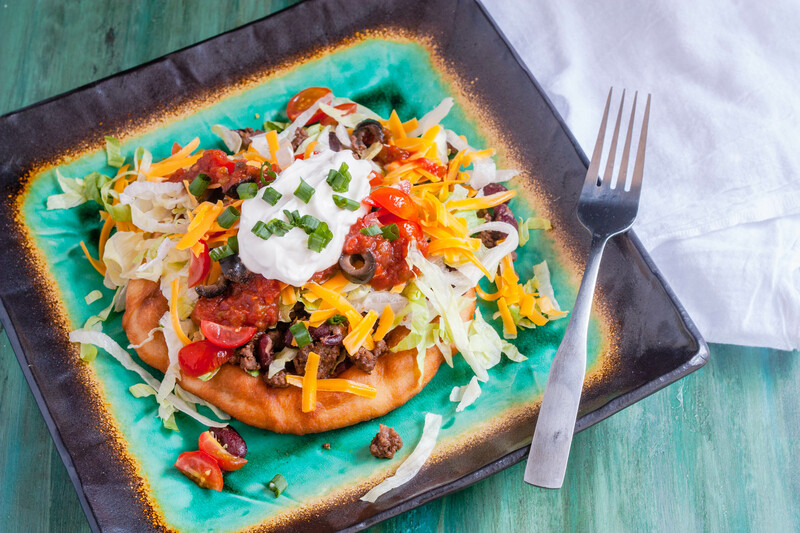 Today, I’m sharing a Native American traditional Indian Fry Bread Taco recipe. These tacos are a great way to change up the ol’ “Taco Tuesday”. Make extra so that you can have dessert too. The fry bread is wonderful drizzled with honey or sprinkled with cinnamon and sugar! You can make these tacos with various taco fillings. This recipe is for a traditional taco, but I have made them using leftover ingredients. A while back I shredded some my leftover Smoked Chicken Leg Quarters with sautéed poblano peppers and onions. They were awesome! Give them a try, they’re delish! Brown ground beef over medium-high heat in a large skillet. Drain excess grease. Stir in onions and continue to saute until onions are tender. Stir in taco seasoning mix and ¾ cup water. Continue cooking for about 5 minutes or until meat mixture thickens slightly and most of the water is cooked off. Gently stir in drained and rinsed beans. 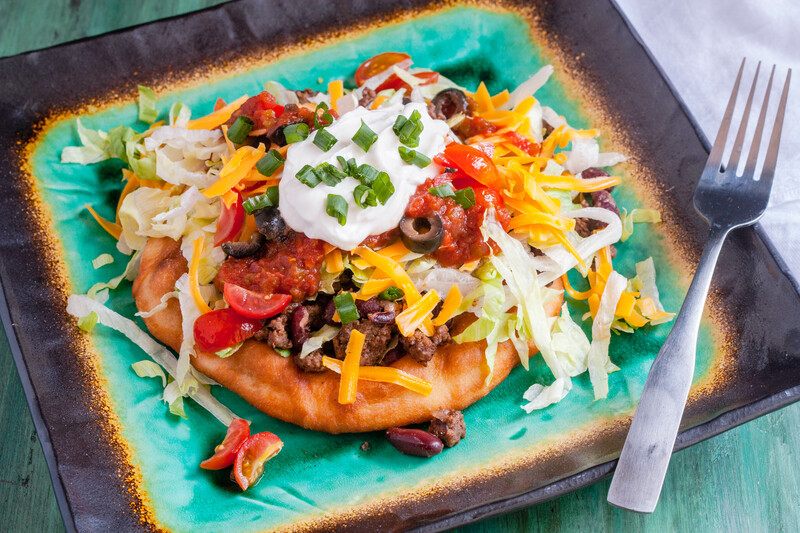 Assemble Tacos: Place fry bread on top of a serving plate and layer with ground beef mixture, shredded lettuce, tomatoes, cheese, black olives, green onion, sour cream and salsa.